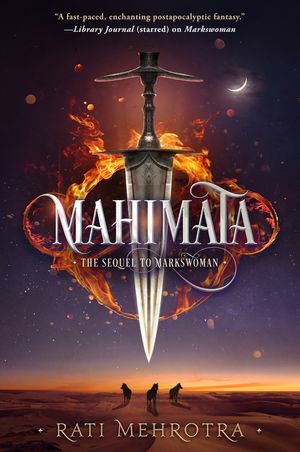 Kyra is the youngest Markswoman in the Order of Kali, one of a handful of sisterhoods of highly trained elite warriors. Armed with blades whose metal is imbued with magic and guided by a strict code of conduct, the Orders are sworn to keep the peace and protect the people of Asiana. Kyra has pledged to do so—yet she secretly harbors a fierce desire to avenge her murdered family. 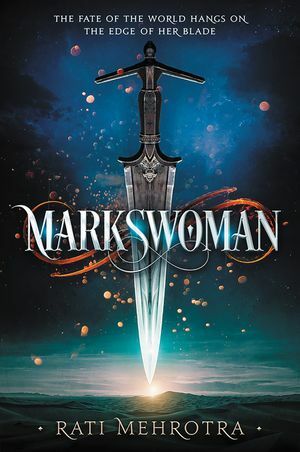 But to be a Markswoman means disconnecting from one’s past completely. When her beloved mentor dies under mysterious circumstances, and Tamsyn, the powerful and dangerous Mistress of Mental Arts, assumes control of the Order, Kyra is forced on the run. She is certain that Tamsyn committed murder in a twisted bid for power, but she has no proof. Kyra escapes through one of the strange Transport Hubs that are the remnants of Asiana’s long-lost past and finds herself in the unforgiving wilderness of a desert that is home to the Order of Khur, the only Order composed of men. Among them is Rustan, a disillusioned Marksman whose skill with a blade is unmatched. He understands the desperation of Kyra’s quest to prove Tamsyn’s guilt, and as the two grow closer, training daily on the windswept dunes of Khur, both begin to question their commitment to their Orders. But what they don’t yet realize is that the line between justice and vengeance is razor thin . . . as thin as the blade of a knife.